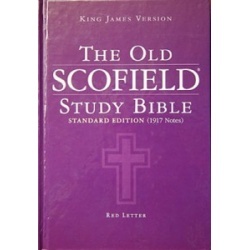 This is the hardcover edition of the Old Scofield reference Bible in large print. It uses Dr. Scofield's 1917 notes. Red letter edition. 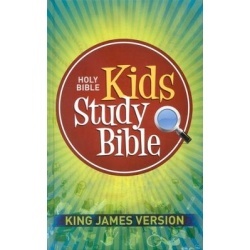 Price includes standard shipping within the continental U.S. Please call for rates to other locations. 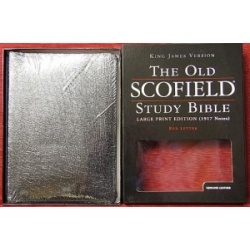 This is the black leather cover edition of the Old Scofield reference Bible in large print. It uses Dr. Scofield's 1917 notes. Red letter edition. Available with either black or burgundy covers. Price includes standard shipping within the continental U.S. Please call for rates to other locations. 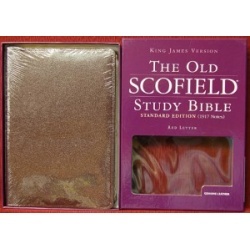 This is the black leather cover edition of the Old Scofield reference Bible in standard size print. 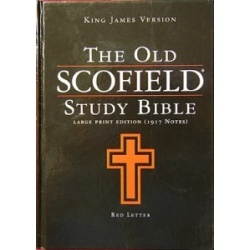 It uses Dr. Scofield's 1917 notes. Red letter edition. Available with either black or burgundy covers. Price includes standard shipping within the continental U.S. Please call for rates to other locations.